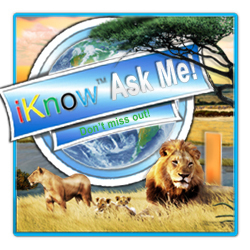 Thank you for taking your time to review the iKnow products! What is the iKnow E-Book Series? The iKnow Series is a new way to teach kids the 5 essential elements of reading. This series makes learning to read easy and fun utilizing science, technology, environmental awareness and global citizenship. 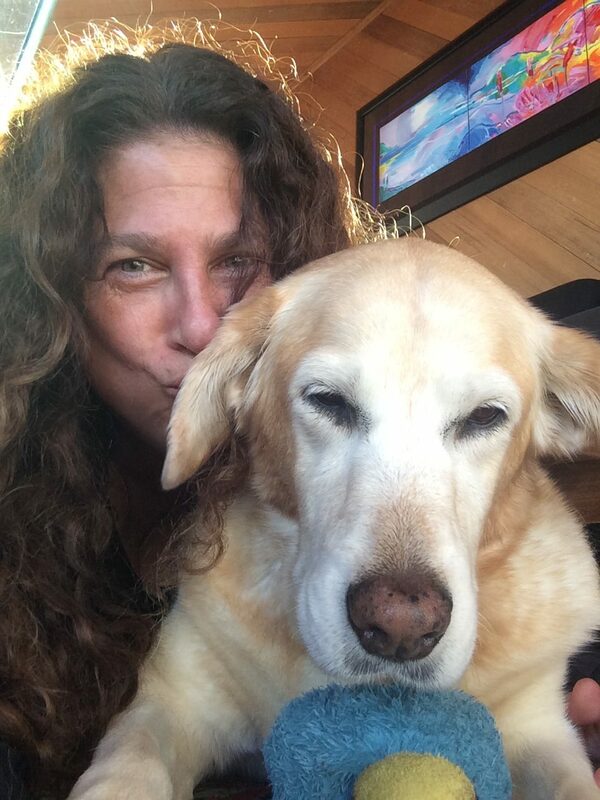 This extraordinary story about animals starts with a legend and continues through all five interactive books in the series and gives kids the opportunity to do their best to achieve the ultimate goal: help the animals in the Sunmoona Pride activate all 26 letters in their Animal Alphabet. Note: The file downloads are very large. See below for direction on how to place the .epub file onto your device. What is The Legend of the Sunmoona Pride? The first of five in the iKnow E-Book Series, this extraordinary story about animals combines real science concept, character education, and global citizenship by utilizing modern technology and music to enhance the natural process of learning and inspire curious young minds to think, problem-solve and achieve goals. What is The Rain Forest? The second of five in the complete iKnow eBook Series, this unforgettable story about the animals takes young kids on a journey through the Rain Forest where they explore how the animals live in harmony with nature and how the Pride thrives in their rainy home in the forest. Kids realize the importance of rain and water for life on Earth. The Pride’s ideas about preservation and the conservation of animals and the planet can be heard echoing through the trees. What is iKnow Africa: Rhythm of Life? This remarkable story about the animals and their incredible trek, migrating across the African plains helps young kids recognize the importance of family and the value of water. The Pride’s ideas about leadership, citizenship, and cohabitation can be found on the migration trail. What is Animals Around the World? This incredible story introduces young kids to diverse natural environments. They realize that the animals have different qualities to help them thrive in the different ecosystems on Earth. The Pride’s ideas about respect, responsibility, and working together can be found in each animal’s unique virtues. What is iKnow ABC? This is the fifth and final book in the iKnow EBook Series. 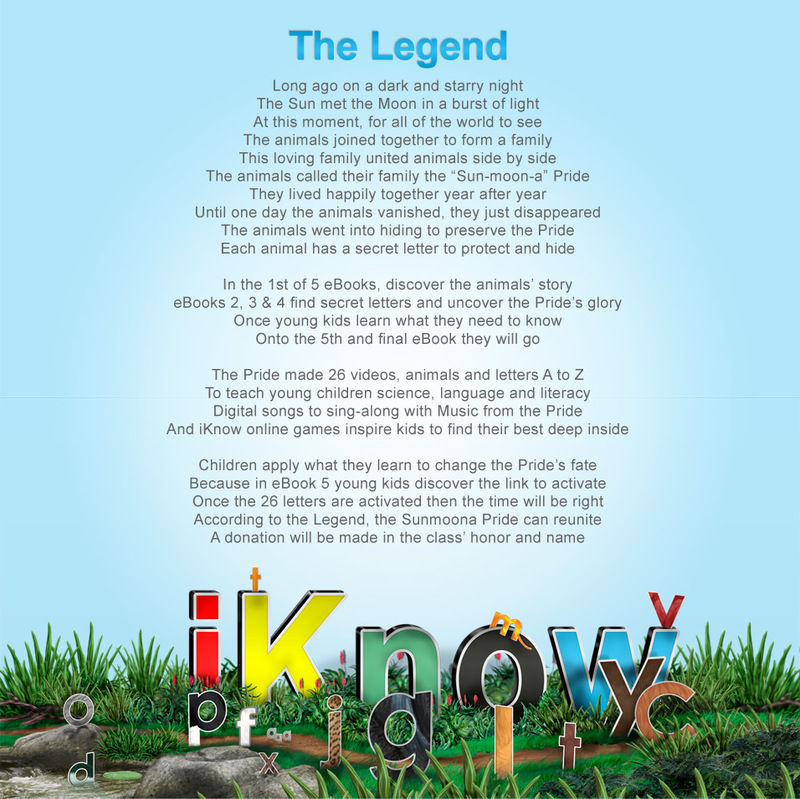 Kids will find all of the animals in the Sunmoona Pride in The iKnow ABC E-Book as they prepare to activate the 26 letters in the Animal Alphabet! What makes the iKnow E-books so different? Kids LOVE them because they are fun to read and parents love them because they make learning easy. Where can I purchase the iKnow E-books?